Casa Rio, the most extensive business development program ever conducted in the country, will have events dedicated to the Energy sector. The main conference will take place in August, and will have the participation of executives from the most important companies in the industry, as well as specialists and representative entities. Before that, other business events and presentations on opportunities in the sector will be made for foreign comercial delegations. 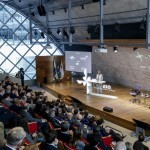 “International investors maintain their interest in the energy sector”, states Marcelo Haddad, president of Rio Negócios, the city’s investment promotion agency. According to Rio Negócios’s figures, during its five years of activities, 26% of the total companies seeking the agency were interested in investing in energy, with the US (25%), UK (15%) and Norway (14%) being the countries with the largest representation. “In six months we intend on presenting the new environment and new business opportunities in Rio de Janeiro to 2.800 decision makers from 800 companies and, with that, attract up to 40 projects in the next two years”, evaluates Marcelo. 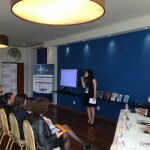 In addition to the conferences, Casa Rio will also have a more direct operation with foreign delegations at the Casa Rio Business Center, to have its headquarters at the Rio de Janeiro Commercial Association. In this portion of Casa Rio, there will be presentations on business environment and opportunities for the delegations, as well as a soft landing service for companies newly arrived to the city.